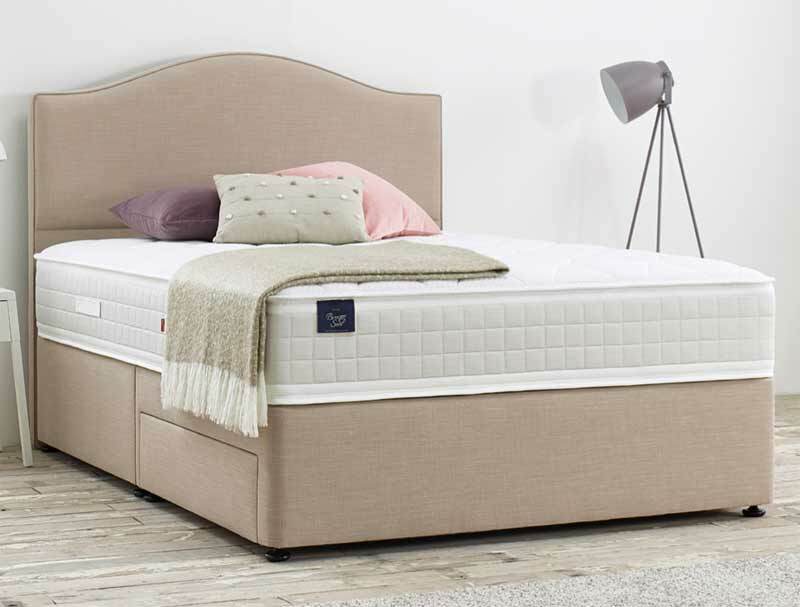 The Bronze Seal is part of The New Vintage Collection from Slumberland that sees the Re birth of the Seal Bed Range ,there are 5 models in the range and the Bronze seal is the second model and offers 1800 pocketed springs in a king size mattress that has a foam wall around the edges for more edge to edge support. 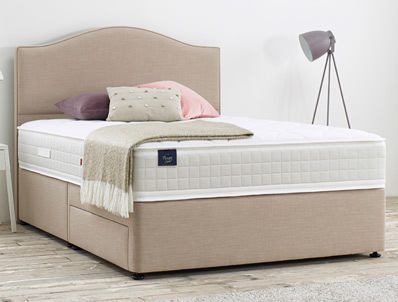 The Bronze Seal mattress utilises the posture pocketing springs which were in the original Seal bed range with posture flex mini springs and a layer of Rheia foam a brethable support foam , on top of this foam are layers of wool, Cashmere and silk filling and the top sleeping surface is covered in a soft knit patterned fabric. This Non turn mattress sits on a platform top hard base that is available in 8 modern colours , currently there is a offer of 2 free drawers on each size bed or you can upgrade to 4 drawers on single size beds and above , please note the super king size 4 drawer base is normally a extra £160 but with 2 free drawers is available at £80. 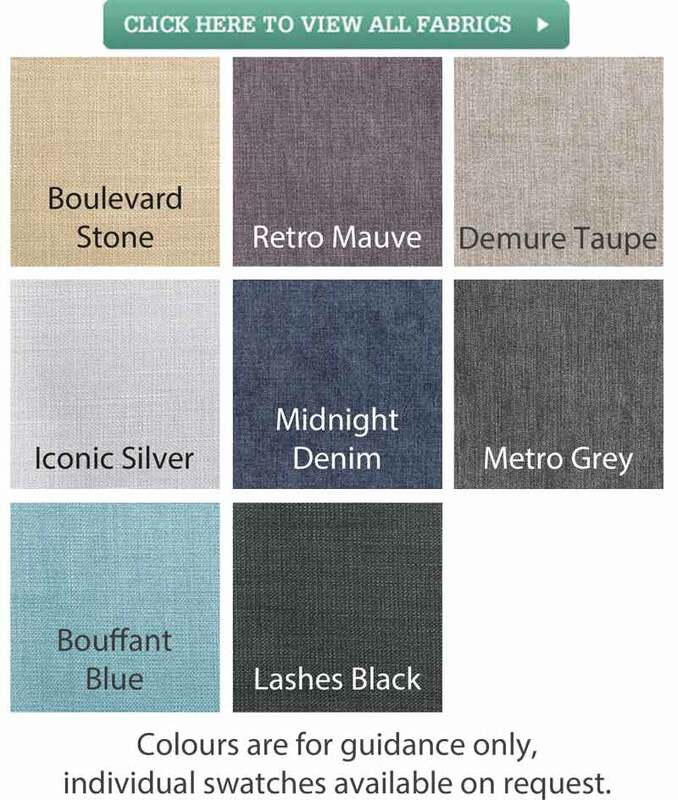 The headboard pictured is called Hepburn and is available as a upgrade but is not included in the price. If Maxium storage is required you could upgrade to your 2 drawer base to a end open ottoman base .